95,000 entries of commentary, preaching outlines, and sermons for the entire Bible. One of the largest commentary sets of its kind. The Pulpit Commentary has remained immensely popular over time for several reasons. Like any good commentary series, you'll find in-depth discussion of every verse in the Bible. But The Pulpit Commentary doesn't stop there! For each Bible passage, you also get a framework for presenting the text to others (homiletics) followed by four to six samples sermons (homilies) from different authors. For the pastor or teacher, it serves as a “how-to” on sermons. The outlines and sermons illustrate the results of good study and provide examples for creating your own sermons and lessons. For the Bible student, it provides a complete picture of a verse or passage by bringing the explanation, context and application together. You'll find this commentary to be an excellent addition to the other conservative commentaries in your PC Study Bible library. After dissecting each verse with in-depth analysis, The Pulpit Commentary gives you a framework for “putting it back together.” Detailed outlines and sermons from a variety of authors accompany the commentary for each chapter of the Bible. The outlines help you put a verse in the larger context of the chapter or book. They also provide a framework for teaching by setting forth key points and summarizing each passage in the chapter for you. You can use these outlines to review the meaning of a passage or to build a lesson or sermon. You'll also find short sermons on the same text from several authors so you can compare how each dealt with it. For example, you will find 16 sermons from 6 different authors for Colossians 3 and 21 sermons by 5 authors on Exodus 20:1-17. These brief sermons serve as examples of how to communicate the text and also provide an interesting background for personal study. Ideal for pastors, teachers and you! Although The Pulpit Commentary was originally intended for preachers, the thorough teaching found in this amazing resource is beneficial for everyone. The unique combination of commentary, outlines and sermons gives you unparalleled opportunities for in-depth study of any verse or passage in the Bible. This powerful combination of information is sure to bring you insight for every part of the Bible and every part of your life. This commentary set is truly an exceptional work. Nearly 100 contributors assisted its two editors: H.D.M. Spence and Joseph S. Exell. Generally, the exposition and homiletics for each book are by one author while the sermons are by three to six other authors. In all, their 30-year effort has stood the test of time and remains a popular and trusted resource. The extensive book introductions, commentary, outlines and sermons coupled with the hard-to-read type styles of most printed versions have made this commentary challenging to use. PC Study Bible changes all that! PC Study Bible makes it easier to read and navigate through the volumes of information provided by The Pulpit Commentary . You can access the commentary, outlines and sermons for any verse right from the commentary section of the program. Or open a sermon for any book, chapter or verse from the Sermon section of the program. 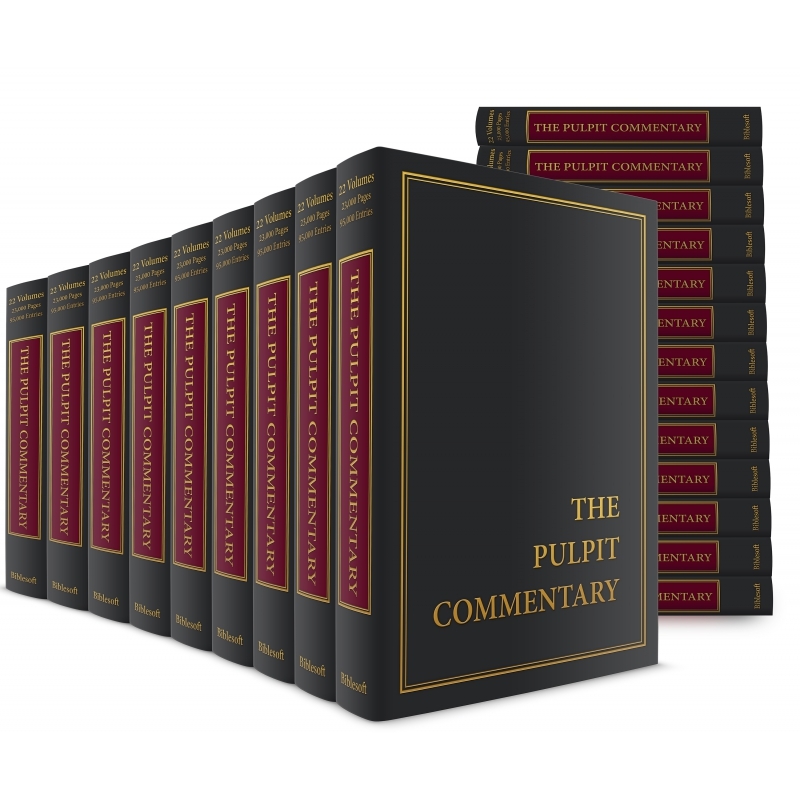 And as always, The Pulpit Commentary is accessible from everywhere in your library at the click of a mouse.